In less than two weeks, we’ll know whether ‘Sugar’ Lee Selby (20-1, 8KO) has created history and become Wales 12th world champion on Sky Sports Box Office. One thing we already know is that Selby’s route to IBF champion Evgeny Gradovich (19-0-1, 9KO) has been as testing as it has been rewarding. 1) September, 2011 – Lee Selby v Stephen Smith [Win, TKO8]. While Wales raved about Barry Town’s Lee Selby, the rest of British boxing had no idea about what was about to hit them, particularly Stephen Smith. The 24-year-old had just two stoppages to his then 12 fight lodger, both coming in his Welsh and Celtic title fights, but his third was the most impressive as he tore away the British and Commonwealth titles from a champion that many tipped as a future world title contender. Gradually, round by round, Smith’s approaches slowed, allowing Selby to gain leverage and step in with his hooks more. Although it appeared that Selby was a step ahead, Smith continued to raise his hand at the end of each round, a signal to observers, and more cynically, the judges that he was satisfied with his work when in reality, the Welshman was winning convincingly and it was competitive at best. Unphased by the misleading body language, Selby ended it in the eighth with an uppercut that left Smith exhausted on the canvas. Welsh boxing’s best kept secret had emerged from the small halls and arrived on Sky Sports. 2) October 2014 – Lee Selby v Joel Brunker [Win, TKO9]. In one of the most polished performances of Selby’s six-year career, he secured a shot at a world title with a near faultless ninth round stoppage of Australia’s previously unbeaten Joel Brunker. The boy from Barry Town produced a punch perfect performance and in his most defensively sound display for years. Aside from two early head clashes, Selby rarely received any blow of note as he gradually broke down Brunker whose face had began to redden as early as the first round and it was a sign of things to come. Selby looked a weight division above the visitor but he opted to use the ring and circle Brunker, allowing the Australian to overreach before countering with stinging shots in the gaps of his guard. If anything, Brunker was over eager to get his hands on Selby but his feet were too slow and he always seemed a step behind. The Welshman showed his finishing instinct and it started with a left hook to Brunker’s body, causing the visitor to wince and it was the start of the unraveling. It was the first time in the fight that Selby had put Brunker on the back foot and kept him there with a sustained attack. As Selby followed up, Brunker stumbled across three sides of the ring and almost sank to his knees as referee Marcus McDonnell waved the contest off. The victory at London’s O2 Arena secured a return visit seven months later, allowing Selby to spend some time with his newborn baby before returning for his date with destiny… and a man called Evgeny Gradovich. 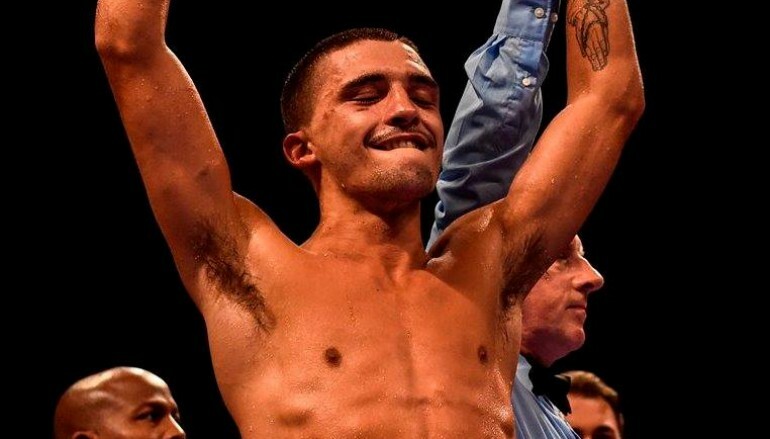 3) December 2011 – Lee Selby v John Simpson [Win, TKO5]. John Simpson was entering the fight on the back of two give-and-take wars with Stephen Smith that he lost by the narrowest of margins. In between those losses, the ex-champion managed an impressive win when he travelled to Belfast to upset Ulster’s undefeated Martin Lindsay in front of his own fans. Shortly after Simpson’s hat trick of bruising battles, a flash new champion has claimed top spot. His name was Lee Selby and someone was returning to knock him off his perch to claim it again. The Scot had been in contention for a European title shot prior to the pair of losses to Smith and he was still held in high regard by many observers as one of Britain’s best domestic level operators. Until he fought Selby, Simpson had never been stopped and rarely even buzzed in his nine-year career but the Welshman became the first to end him inside the distance. Both approached the contest with respect for each other’s abilities; neither applied blatant pressure and they did appear tense, it was a battle of nerves that would punish whoever made significant mistakes. As it unfolded, it was Selby who spotted the first real mistake of the fight at London’s iconic York Hall and he took full advantage. In the fifth round, Selby edged forward and maneuvered Simpson to the edge of the ring, an unnatural position for the natural aggressor, which he was keen to escape from. Trading at the same time left Simpson’s body open and Selby reacted with a low left hook that bounced off the floating rib, keeling Simpson over to the canvas. Simpson didn’t recover or manage to muster the pain tolerance to regain his feet, his attempt to regain his old British and Commonwealth titles had failed in five rounds. Selby needed 19 less rounds to see Simpson off than Smith had and if there was anyone wondering if Selby’s stoppage of Smith was a fluke, this was a resounding answer to the question. 4) February 2014 – Lee Selby v Rendall Munroe [Win, TKO6]. 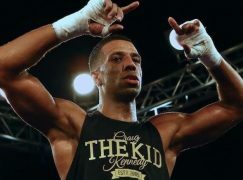 Selby made it as straightforward as it could be against Rendall Munroe, stopping the former world title challenger in the sixth round to defend his British title and add the European title to his collection. 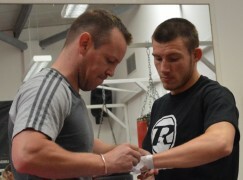 In doing so, Selby made a statement at a sold out Motorpoint Arena that was symbolic of his journey. The ‘Welsh Mayweather’, as some of the press dubbed him, had come full circle, from sparsely populated leisure centres to headlining live on Sky Sports. Just prior to the stoppage, Selby showboated by calling the referee in as he threw flurries that forced Munroe in to the neutral corner and more importantly, well within his shell. Seconds later, Selby broke through Munroe’s guard and, apart from very infrequent single shots that were little more than arm punches, there was barely anything coming back which promoted the referee to step in. Up until then it had been relatively routine for Selby who demonstrated the defensive discipline that he has sometimes been missing of late. He controlled the pace at range right from the beginning and he didn’t seem to realise that he rocked Munroe with the final punch of round one. Selby had thrown a right hook as the bell sounded, turning away to his own corner as Munroe’s legs stiffened and stumbled. 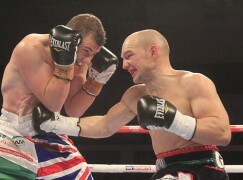 The volume punching of Munroe was expected to give Selby something to think about but it played right in to his hands. Munroe walked on to everything Selby had and the Leicester man’s southpaw stance, of which Selby has only seen once in his paid career, bore little importance as the former bin man squared up on his approach. Selby had won the five rounds previous rounds by manipulating Munroe’s pressure to his advantage. Almost every time Munroe maneuvered Selby to the ropes, the Welshman would turn his opponent and lead him back to the centre of the ring where he utilised his speed to score most notably with jabs and left hooks to the body. Prior to the stoppage, it was the body shots which seemed to slow down Munroe the most, they had been the source of his last loss at super-bantamweight against Scott Quigg, and Selby’s size told – he looked a weight division above Munroe and he will against most featherweight opposition. 5) July 2011 – Lee Selby v James Ancliff [Win, TKO6]. Selby convinced all in Wales that he was ready for the next level when he crumbled former Scottish champion James Ancliff in six rounds on a hot summer night at the Pill Millennium Centre in Newport. The featherweight collected his second professional title to round off a rewarding season that also saw him collect the Welsh Area belt, only having to take a handful of punches in the process. Throughout the fight, Ancliff showed courage to take big shots and still come forward fighting but he was always second best. The natural advantages of speed and reach belonged to Selby, who kept his foe at arms length early and kept turning Ancliff whenever the visitor was in punching range. Ancliff was finding it difficult to get to grips with the Welshman, who chose to wisely neutralise the rough and tumble tactics on the inside by tying his arms up. This resulted in the pace slowing as the rounds progressed, allowing opportunities for Selby to land with accurate single shots. Selby gradually increased his power and he stepped up the attack with a left hook to Ancliff’s body in the sixth stanza. It dropped the Scot to the canvas. Although he rose to referee Terry O’Connor’s count, a follow up attack ended it and Selby was set up to challenge for the Lord Lonsdale belt.